Since 1993 our company has been helping contractors get their Hawaii state contractors license. With a 99% success rate, our exam prep classes are the best in the industry. The Business and Law examination is required by most classifications and contains informtion regarding Labor, Tax and Lien Laws, Business Organizations, Risk, Financial and Project Managemennt and other similiar topics. A C-6 Carpentry Framing Contractor is authorized to do framing, siding, wood truss, roof sheathing, and other work as is by custom and usage accepted in the construction industry as carpentry framing. This exam covers a broad range of activities performed by a General Contractor. Examination questions are based on research of accepted business and trade practices as determined by surveyed current professionals in the field of General Building. Every aspect of commercial, residential and public works construction is regulated at the state level. To place, install, erect, or connect any electrical wires, fixtures, appliances, apparatus, electrical signs, conduits, poles, raceways, and to do trenching, backfilling, patching, and surface restoration in connection with the installation of conduit and lines that transmit, transform, or utilize electrical energy less than 600 volts phase to phase. This classification also includes the work of the C-15 Electronic Systems Contractor and C-60 Solar Power Systems Contractor. “Journey Worker Electrician” means any person who has been licensed by the board as a journey worker electrician to perform electrical work. “Journey worker industrial electrician” means any person who has been licensed by the board as a journey worker industrial electrician to perform and maintain electrical work related to substation, switchgear, automatic controls, and all other industrial electrical work in existing industrial buildings and work places. “Journey worker specialty electrician” means any person who has been licensed by the board as a journey worker specialty electrician to perform electrical work related to installing, repairing, altering and maintaining but not attachment of lighting and power circuit to the following: electronic equipment, sound public address systems, and communication systems other than equipment and systems for a single-family or two-family dwelling; master or communication radio and television receiving antenna systems; sound recording systems, other than systems for a single-family or twofamily dwelling; burglar and fire alarm systems; low voltage remote control, other than a control for a singlefamily or two-family dwelling; and low voltage communication signal systems. “Maintenance Electrician” means any person who has been licensed by the board as a maintenance electrician to maintain electrical work. “Supervising Electrician” means any person who has been licensed by the board as a supervising electrician to direct and supervise the performance of electrical work and to perform electrical work. “Supervising industrial electrician” means any person who has been licensed by the board as a supervising industrial electrician to direct and supervise electrical work related to substation, switchgear, automatic controls, and all other industrial electrical work in existing industrial buildings and work places. “Supervising specialty electrician” means any person who has been licensed by the board as a supervising specialty electrician to direct and supervise the performance of electrical work related to installing, repairing, altering, and maintaining but not attachment of lighting, and power circuit, to the following: electronic equipment, sound public address systems, other than equipment and systems for single-family or two-family dwelling; master or communication radio and television receiving antenna systems; sound recording systems other than systems for a single-family or two-family dwelling; burglar and fire alarm systems; other than equipment and systems for a single-family or two-family dwelling; low voltage remote control, other than control for a single-family or two-family dwelling; and low voltage communication signal systems. To install and repair fire-tube and water-tube power boilers and hot-water heating boilers, and thermal fluid systems including all fitting and piping, valves, gauges, pumps, radiators, convectors, fuel oil tanks, fuel oil lines, chimneys, flues, heat insulation, and all other devices, to include pipe insulation connected with boiler installation and repair. To install insulation materials on mechanical systems for the purpose of temperature control. To assemble and install devices, machinery, and units, including temperature insulation units, ducts, blowers, registers, humidity, and thermostatic controls for the control of air temperature below fifty degrees Fahrenheit in refrigerators, refrigerated rooms, and insulated refrigerated spaces and to construct walk-in refrigerator boxes. To fabricate, assemble, and install warm-air heating and air cooling systems including heating and cooling solar systems, complete ventilating systems and complete air conditioning systems including, but not limited to, piping, controls (other than electrical), instrumentation, building automation, energy management, and trenching, backfilling, patching, and surface restoration in connection with the installation of the air conditioning systems, and including installation of thermal and acoustical insulation necessary to maintain heat, or sound, or both, within the system. To install, repair, or alter complete plumbing systems which shall include supply water piping systems, waste water piping systems, fuel gas piping systems, and other fluid piping systems; the equipment, instrumentation, non-electric controls, and the fixture for these systems and the venting for waste water piping systems and fuel gas piping systems; for any purpose in connection with the use and occupancy of buildings, structures, works, and premises where people or animals live, work, and assemble; including piping for vacuum, air, and medical gas systems, spas and swimming pools, lawn sprinkler systems, irrigation systems, sewer lines and related sewage disposal work performed within property lines, fire protection sprinkler systems when supervised by licensed mechanical engineers or licensed fire protection contractors, and solar hot water heating systems, and the trenching, back filling, patching, and surface restoration in connection therewith. To install, maintain, and repair central fire and burglar alarm systems; provided that this shall not include the installation of any conduits thereto. To lay out and install approved types of fire prevention and protective systems, including all mechanical apparatus, devices, piping, and equipment appurtenant thereto. The licensee shall comply with applicable provisions of the National Board of Fire Underwriters (NBFU) standards to meet all requirements of the local authorities having jurisdiction. To install acoustic tile systems, spray systems, and insulation in buildings and structures for the purpose of sound control. These systems or materials may be installed independently of or in conjunction with acoustic tile and/or drywall systems as multipurpose (acoustic, insulation, fire retardant) systems. To patch asphalt driveways and parking areas so that a suitable surface is obtained, to seal coat surfaces and to paint parking or highway stripes. To proportion, mix, and place base materials, and to place paving and surfacing consisting of graded mineral aggregates bonded with asphalt or bituminous materials so that a firm, smooth surface suitable for roadways, runways, driveways, parking areas, and play areas is obtained, including the application of seal coating and parking lot striping. To apply or install acceptable fabric floor coverings or artificial turf to surfaces. To excavate cesspools and install septic tanks in compliance with the requirements of the department of health. Application of shingles and shakes made of wood or any other material. To install belt line conveyor systems including installation of baggage carousels. To install tanks, piping, and sprinkler heads in kitchens and range hoods. A C-12 Drywall Contractor lays out and installs all types of gypsum wallboard systems including the taping and texturing operations incidental thereto. Also included is the application of spray on barriers which would be incidental to the installation of wallboard. To install electronic equipment and electronic controls, including but not limited to, public address, intercommunication, master antenna, and music distribution systems, CATV systems, master and program clock systems, electronic teaching devices, and other systems including electric door opening devices, and fire and burglar alarm systems; provided that this shall not include the installation of any conduits thereto. C-16 Elevator Contractor assembles, installs and maintains sheave beams, motors, sheaves, cable and wire rope, guide, cab, counterweight, door assemblies, hydraulic systems, automatic and manual control systems, signal systems, and all other devices, apparatus, and equipment for the safe and efficient installation and operation of electrical, hydraulic, and manually operated elevators, dumb waiters, moving walks or ramps, conveyor systems, stage lifts, escalators, and man lifts, excluding any lift or conveyor used in constructing a building or structure. 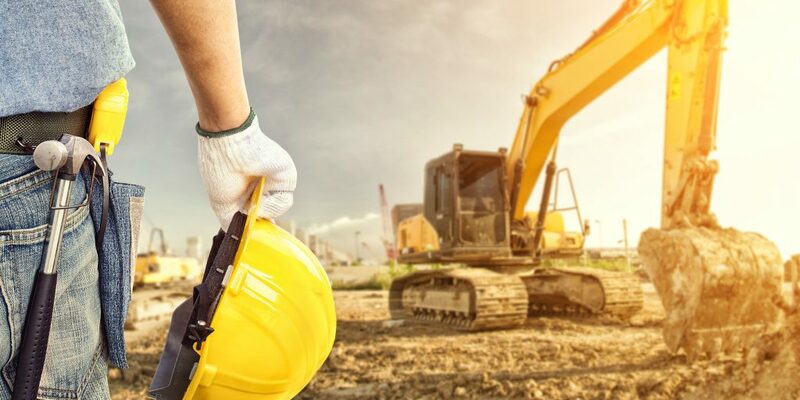 To dig, move, and place earthen material for a cut, fill, grade, or trench, including the use of explosives in connection therewith. To apply or install floor covering material such as linoleum, rubber, vinyl, cork, asphalt, plastic aluminates, or other materials that are by custom and usage accepted in the construction industry as composition flooring, including the installation of wood floor covering and also to include floor sanding and refinishing of floor surfaces. The exam covers the broad range of activities performed by a General Engineering Contractor as defined in Title 16, Chapter 77 of the “Hawaii Administrative Rules.” Examination questions are based on research of the accepted business and trade practices as determined by surveying current professionals in the field of General Engineering. To glaze or tint frames, panels, sash, and doors. To assemble and install window wall and curtain wall, shower doors, tub enclosures, mirrors, metal windows and screens metal sliding doors, metal jalousies, store front metal and trim, plastics, tempered glass doors; including items as frames and hardware and any allied products not stipulated above but affiliated with the glass and glazing industry. To pneumatically apply aggregates, cement, and water as gunite and finish the surface; including the setting of ground wires and pencil rods to establish the finished surface planes. Irrigation and lawn sprinkler systems contractor. To install all piping and fittings, pressure regulators, back flow prevention devices, and irrigation control electrical wiring that will carry 24 volts or less, as required to provide irrigation systems for, but not limited to lawns, parks, playgrounds, highway right of ways, golf courses, and school facilities, including installation of automatic or manual controls in relation to an irrigation system. To prepare plots of land for architectural horticulture and to provide decorative treatment and arrangement of gardens, lawns, shrubs, vines, bushes, trees, and other decorative vegetation; construct conservatories, hot and green houses, drainage and sprinkler systems, all types of rockspacing and ornamental pools, fountains, ornamental walls, fences, and walks; and placement of hydro mulching for ground cover and for containment of soil, to include installation of irrigation control electrical wiring that will carry 24 volts or less. A masonry contractor is authorized to lay brick and other baked clay products, rough or cast stone, marble, granite, or any decorative plaster, cut and dressed stone, artificial stone and brick veneer, CMU, and structural glass brick or block, laid with or without mortar or adhesives, manufactured precast concrete facing and back-up panels and brick or block panel, installation of fire clay products and refractories, installation of grout, rubble work, caulking, tuckpointing, sandblasting, mortar, washing, and cleaning related to masonry construction, to place and finish cement concrete, and to drill, saw, and core concrete. Installation of all types of structural and nonstructural units for residential, commercial, and industrial construction, both interior and exterior including, but not limited to, folding gates, guardrails, handrails, stairs, fencing and gates, window shutters and grills, room dividers and shields, accessories, railings, and traffic safety devices. To apply materials common to the painting and decorating industry for protective and decorative purposes, including highway and parking striping by the use of, but not limited to, emulsions, waxes, water repellents, epoxies, polyesters, urethane, liquid-glass, fibrous, cement, and rubber base coatings. Surface preparation of all types, caulking, sandblasting, waterblasting, power cleaning, or steam cleaning preparatory to painting. Installation of wall surface covering, decorative texturing, taping and finishing of drywall. To drill holes for pilings and caissons and to drive piles and set caissons including cutting piles and capping same. to compact earth for foundations by vibrafloat or similar systems. To apply gypsum plaster, cement, and acoustical plaster or any combination of materials common to the plastering industry to any surface which offers either a mechanical or suction type bond by spray or trowel and to apply lath or any other material that will provide a bond for the plaster including spray on, multipurpose, acoustic, insulation, and fire retardant systems. To dress, ground, anchor, and erect poles that will carry high voltage (600 volts phase to phase or more) electrical wires; and to connect and string electrical wires, fixtures, and apparatus to and between the poles, including installation of polemounted transformers. Work shall include street and highway lighting and traffic signal systems, and the work of the C-63 high voltage electrical contractor. To fabricate, place and tie steel reinforcing bar (rods), of any profile, perimeter, or cross-section, that are or may be used to reinforce concrete buildings and structures. To construct concrete and masonry sewers, packaged sewer disposal plants, sewage lift stations, septic tanks, and appurtenances thereto and to lay steel, cast iron, concrete, vitreous and nonvitreous, plastic, and any other type of piping for storm drains, water, and gas lines, irrigation and sewers, manholes in connection with above work, and repairing and recondition of the pipelines, including the excavation, grading, trenching, backfilling, paving, and surfacing in connection therewith. To fabricate, assemble and install cornices, flashings, gutters, downspouts, kitchen and laboratory equipment, duct work, metal flues, and to install pre-manufactured sheet metal products such as metal chutes, lockers, shelving, louvers, nonbearing metal partitions, and other sheet metal items common to the trade, and facsimile items such as plastic skylights, fiberglass ducts and fittings, including installation of aluminum awnings, canopies, patio covers, and seamless aluminum gutters. To fabricate and install electrical or nonelectrical signs and sign devices for the purpose of display, advertising, or directions, and to install all sign supports and sign accessories. To assemble and install solar hot water systems in residential and commercial buildings and swimming pools. Install solar heating and cooling systems in residential, commercial, and industrial buildings. To construct ornamental walls, veneer walls, and structural walls or columns from marble, granite, or any decorative plaster, stone, artificial stone, rough or cast stone, or veneer stone; to lay stone in a manner that an acceptable paved surface is obtained and to construct stone retaining walls with or without mortar, in conformance with building code requirements. To fabricate and erect structural steel shapes, bars, rods, and plates of any profile, perimeter, or cross-section, that are or may be used as structural members for buildings and structures, including riveting, bolting, welding, and rigging in connection therewith. Erection of prefabricated metal buildings, passenger loading bridges, metal roofing and metal siding installed on steel framing, and overhead, sliding and roll-up steel doors or mechanical doors. To construct and repair concrete, gunite, metal, or plastic type pools, whirlpool baths, hot tubs, Jacuzzis, pool decks, and walkways including, but not limited to, installation and repair of water and gas service lines, from closest point of service to pool equipment, pool piping, fittings, back flow prevention devices, pumps, heaters, chlorine dispensers, electric pool lights, pool plastering and other types of interior finishing and sealing, ceramic tile, coping, swimming pool accessories and safety devices, fences for protective purposes if in original contract, and excavation and grading in connection with swimming pool construction. A person holding this license may prepare the base upon which ceramic, mosaic, granite, terrazzo, and other tile work, including all pseudo tile and marble or cultured marble products, will adhere by suction, fasteners, or by adhesives. The license holder may also install these products. To prune, trim, and remove trees, including stumps, and restore ground to condition similar to adjacent area. Does not include relocation and planting of field grown trees. To apply felt, glass, asphaltum, epoxy, pitch, silicone, elastomeric coatings, sheet membranes or any other materials or combination of materials to surfaces to prevent water and water vapor from penetrating and passing the materials. Work shall include, but not be limited to waterproofing exterior walls and between slabs, both above and below grade, planter boxes, tank linings and application of tank coatings, and application to parking decks, play courts, and walking decks to form a watertight, nonskid surface, but not to include the work of the C-42 roofing contractor. On site job layout, cut, assemble and weld the metal products including, but not limited to, pipe lines, tanks, pressure vessels, guard rails, and fire escapes, by welding techniques using carbon arc, metal arc, submerged arc, flux core, resistance, and oxyacetylene processes. To bore, drill, excavate, case, cement, clean, and repair water wells; and to install injection wells, water well pumps, pump controls, concrete pump base and waterline to adjacent storage tank.